Modern life has been geared around the regimentation of time through work. The nine to five, Monday to Friday, has become the universal machine for production. It was hard to think of life outside of this rhythm. Grab a coffee to kickstart the brain so you’re ready to go by 9am. And then it begins—the endless stream of meetings, phone calls, letters, emails and repetitive processes. The gears turn. Everyday, the same grinding routine. The great difference was between work and life outside—the work day and the weekend. But this seems to be threatened now by the introduction of the smartphone and the capacity of emails to appear at any time and anywhere, not just at our desk but on the train home, in bed, even in the bathroom. This is usually seen as a negative intrusion, making it difficult to sustain a work-life balance. The world of busyness colonises more and more of our waking lives. But there are other changes afoot with office work. The introduction of the standing desk has given information labour a more active form of engagement. Telecommuting has enabled work outside the office environment, especially in the comfort of home. 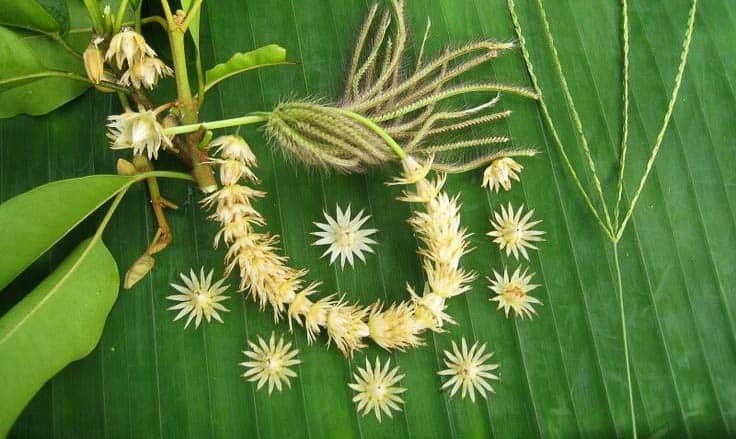 It is natural that this opening up of possibilities has encouraged increasing interest in personal productivity regimens. Systems like Getting Things Done have spawned thousands of versions, apps and routines. These are mostly geared to keep us focused and prevent our time being wasted by confusion or uncertainty. But they still mostly involve a linear sense of time that essentially is spent processing repetitive tasks. I’ve been working independently for a number of years now. I miss the random interaction that an office can bring, but I’ve found myself increasing impatient with the obsession around process that can be found in formal workspaces these days. I can’t imagine being as productive in an office as I can on my own. But working independently has involved developing ways of staying on track. Over time, I’ve begun to realise that there are different areas of focus necessary during the course of the working week. You need to spend some time thinking about long-term possibilities, not just worrying about latest email request. Of course, the GTD method recommends a series of weekly and monthly reviews to cover this. But I felt I needed to integrate it into the working week itself. After having arrived by the end of the week, the weekend is spent reviewing and filing, with some intellectual activity for its own sake. There are some tools that I’ve found useful to keep this kind of focus. As email is my “coal face”, I find the Active Inbox gmail extension useful in sorting out emails according to tags for each of the days. For drilling down into projects, I’ve recently moved from Workflowy to Dynalist. Dynalist have introduced documents, which means I can put each day in a distinct outline. The main weakness in this system is that it’s easy to lose a day in the week with a series of meetings or travel. I try to date my weekly tasks so that they appear as overdue if not completed the previous day. Sometimes I have to combine two layers in one day. My week as a whole is still relatively similar to the modern office routine, but it has a narrative arc that I find useful in ensuring that I cover the full scope of the enterprise. The “journey home” is hardly a novel story, but it has an enduring appeal. It extends what happens daily in the office life into a week-long process. While technology may be seen to flatten our sense of timing, turning every moment into work. But with a little imagination, we can bend it to the shape of rituals that give greater meaning to what we do. Trade your steam engine in for a sailing ship. 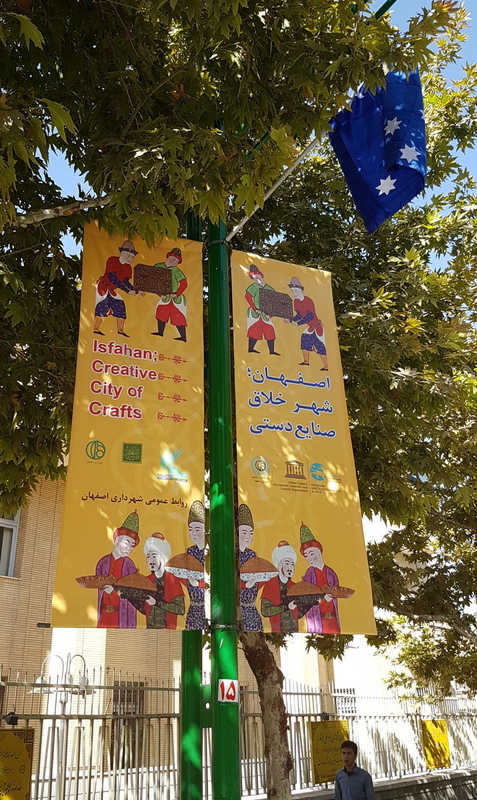 I was in Isfahan for the General Assembly of the World Crafts Council, where I was representing my country of birth, Australia. I had to pay my own way, but I thought this was a unique opportunity to be shown around city claimed to be “half the world”. Looking at the press coverage during the event, it was clear that Iranians were seeing this as the first major international gathering since the lifting of sanctions. There seemed much at stake in welcoming the world to this legendary city of craft. We were assigned guides to help us appreciate the city. 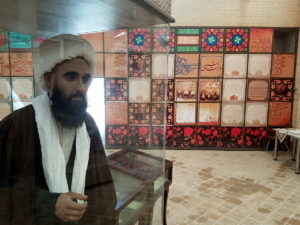 On the way to the Isfahan Bazaar, we passed by a mysterious museum with photographs of early twenty-first century Iran. In the first room was a tiled world with the inevitable floral ornament, interspersed with images of religious figures and fascinating accounts (in English) of the Constitutional Movement of 1906 in Iran. My guide told me that Mullahs gathered in this house, known then as the Safa Khaneh, to read newspapers, from which they disseminated the move to replace the absolute power of the Shah with a democratically elected government. A diorama in the centre of the room caught my eye. It featured two men sitting opposite each other. One was dressed as a Mullah, and the other as a Christian priest. Around them was a mix of Muslim and Christian men and women. I learnt that during this time there were open dialogues between the two religious. They were conducted in order to forge an understanding of Iran as a tolerant nation that embraces other religions of the book. So Iranians valued religious tolerance too! 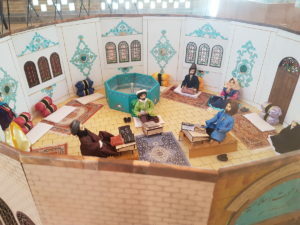 A quaint diorama of a meeting between Muslim and Christian scholars hosted in 1908 as part of the constitution reforms in Iran. This was the inspiration for ex-President Khatami’s “dialogue among civilisation”, a visionary concept cut short by 9/11. I’m still trying to get my head around Persian mysticism. Through stilted English translations of poems by Hafez, I can occasionally glimpse the layers of meaning that Iranians have grown to see in the world. And I remember the Elephant in the Dark exhibition organised by Iranians in Melbourne, based on a tale of people imagining different animals from the particular part of the elephant they could feel in the dark. 2001… It was hardly an auspicious year to launch a Dialogue among Civilisations. But at least it became an idea, which will hopefully have a better day to come. After Isfahan, I spent some days in Tehran with the Mahe Mehr Art and Culture Institute, which is a wonderful art academy established by three visionary gallerists to help improve the thinking and techniques in the local art scene. I offered to give a workshop on the Social Object, with a particular focus on the “promise object”. When I sought they ideas about where trust was lacking in contemporary Iran, a large number mentioned relations with minority religions. So we developed some objects that might help sow seeds for a better understanding between these faiths. Their concerns reflected the experience in Australia after the Martin Plaza hostage crisis, when so many used the hashtag #IllRideWithYou to show support for Muslim women who might be afraid of Islamophobia. These “memes” mean well, but they are not good at creating ongoing structures for solidarity. This time in Tehran there was intense interest in the promise object. We had to do the workshop again due to the demand. 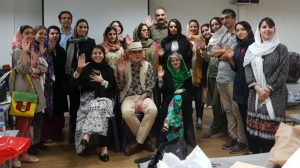 During the week at Mahe Mehr, I was impressed by how much these (mostly jewellery) artists were very keen to learn more about the cultural scenes outside Iran, and particularly how to engage with them. I was lucky to be there for a ground-breaking exhibition of 60 jewellers who made work about living in Tehran. The quality and ideas behind their work was amazing. 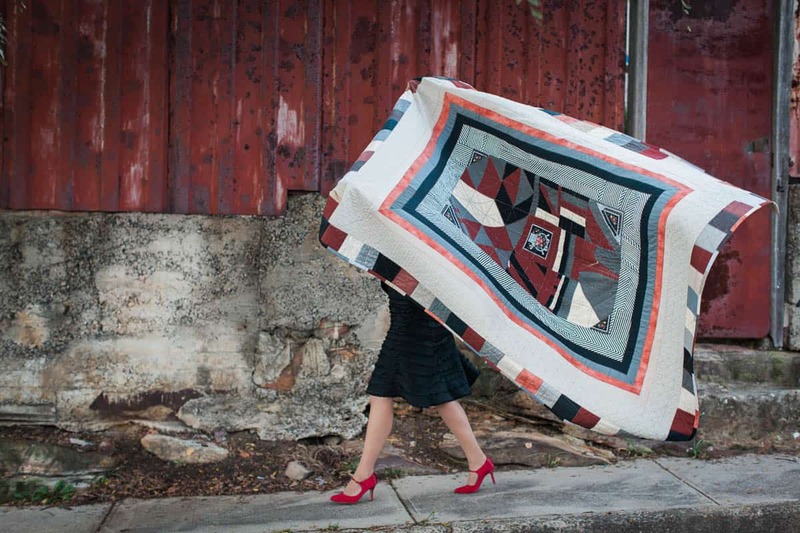 Craft generally is a powerful way of connecting cultures that are otherwise opposed ideologically. It’s a shared human story of how we’ve made something from the corner of the world where we live. Jewellery in particular is a powerful link as a form of personal ornament that connects us as individuals. It’s modernist phase is relentlessly democratic in critiquing the role of jewellery in sustaining hierarchy, from royal crowns to Debeers diamond rings. Through the AJF Ambassadors program, we are now expanding the field to reflect the new perspectives brought by jewellery scenes outside the trans-Atlantic north. A little worn from the first workshop, where the feeling emerged that Iranians needed to entrust each other more with privacy. 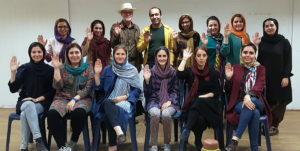 This workshop decided to develop a Peer-To-Peer project of religious tolerance between Iran and other countries, with art jewellers at the vanguard. I wish them so much success. One young jeweller came up with the idea of extending the act of promise to people of other countries. This would be a version of a free trade agreement, except in this case it would be between individuals, along the lines of “I’ll protect your religion, if you’ll protect mine.” How would people make this connection? In one of the bazaars I’d seen posters warning of the dangers of Facebook, which is officially banned in Iran. However, as artists, most of them were on Instagram, which is not banned. This seemed a good platform where individuals from East and West could connect. One of the writers present spoke about the Tirgan festival, which is a Zoroastrian event that celebrates the coming of rains at the end of summer. Tirgan tells the story of Arash, an archer chosen to mark the boundaries Persian and the Central Asian kingdom of Turan. Shot from Mount Damavand’s peak, his arrow landed on the banks of a river that marked the permanent border, and thus bringing in an era of peace between the two kingdoms. This was followed by welcome rains. 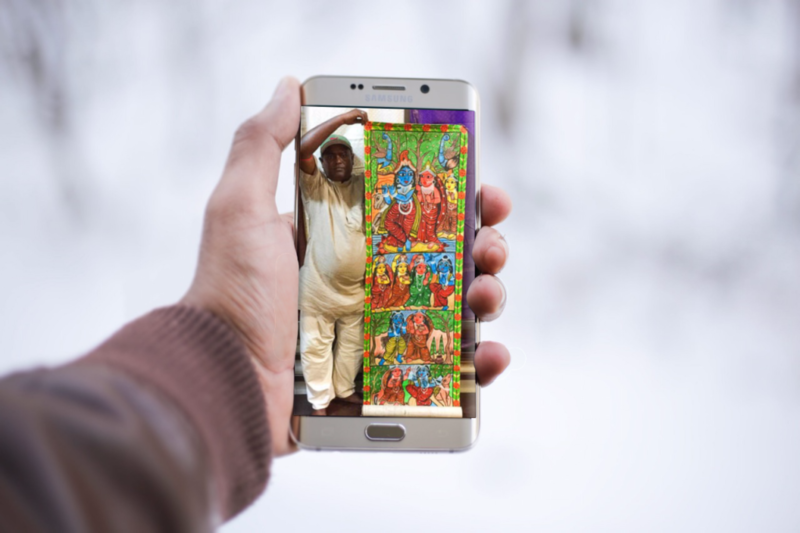 We could think of people using the platform to send missives between East and West, exploring similarities and differences. Tirgan also has a jewellery link. It is celebrated by wearing a rainbow coloured bracelet for 10 days, which is then cast into the waters. While Tirgan seemed a perfect story for our project, eventually there was concern that there could be problems for anyone linked to a project that is formally identified with Zoroastrianism. So right now Tirgan functions more as a backstory, but we do hope to include the bracelets for an event with the Radiant Pavilion jewellery festival in Melbourne this August. The initial version of the platform exists now on Garland – www.garlandmag.com/east-west-meet. Please enter your details to be linked to someone on the other side. It will be carefully monitored to ensure that people treat this respectfully. We can follow its progress with the hashtag #eastwestmeet. Most of what’s happening in the world is beyond our control. We hope that East West Meet is something that appeals as a form of direct action. There are many hopes pinned on it.